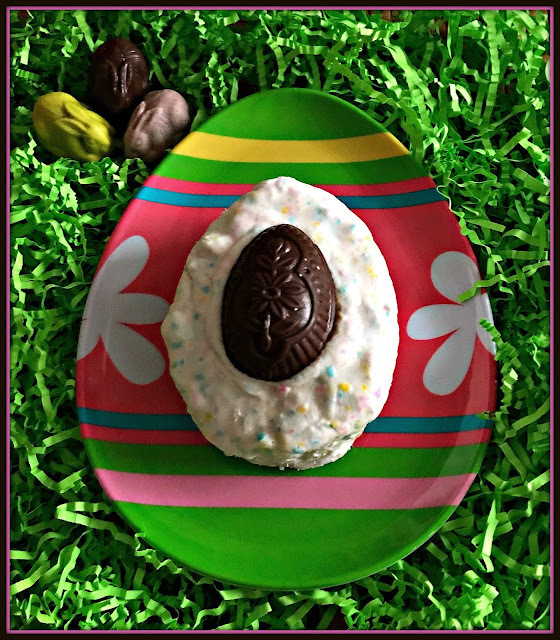 I’ve got a super fun Easter treat to share with you today -- one that’s no-bake and so simple that you can even make them with your little ones ahead of your Easter celebrations this weekend! 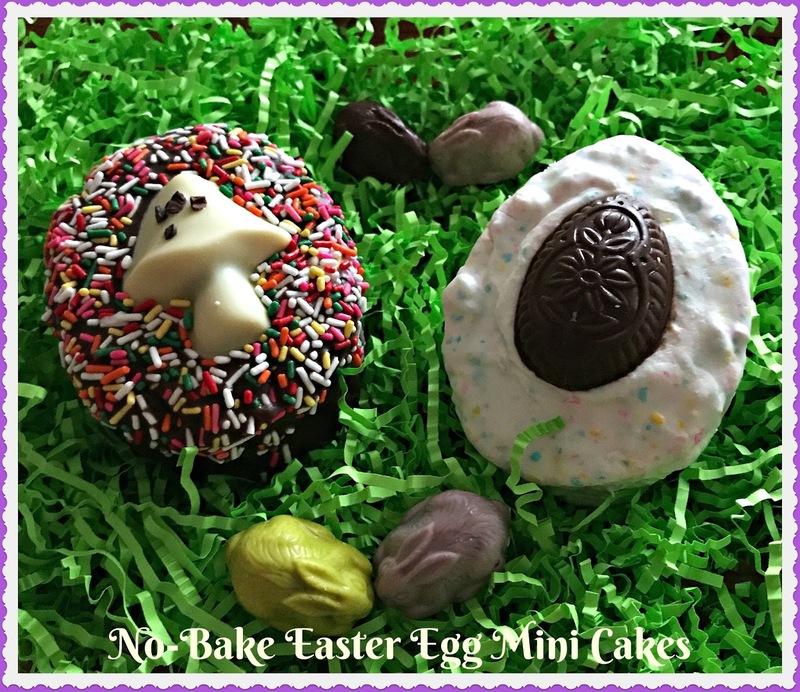 My festive No-Bake Easter Egg Mini Cakes were inspired by a petite four recipe I recently found at Woman’s Day website. My mini cakes come in two different flavors: peanut butter and chocolate-hazelnut. 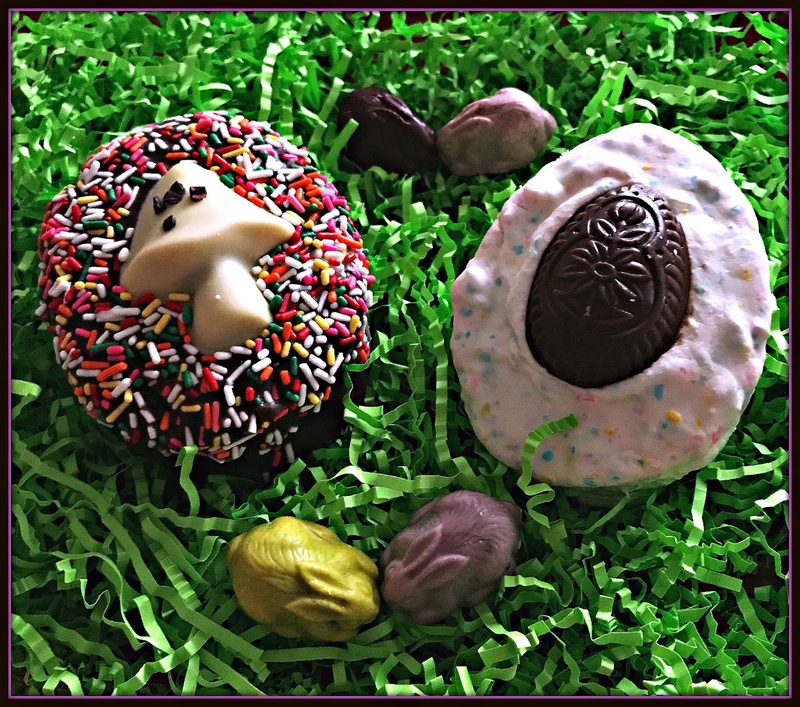 To up the chocolate factor on these Easter treats, they’re also topped with delicious Organic Peanut Butter Bonbon Eggs and chocolate-hazelnut Enchanted Toadstools from my friends at Vosges Haut-Chocolat! 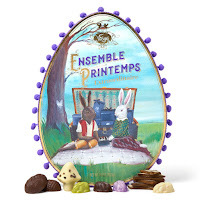 These chocolates are part of their amazing Ensemble Printemps Extraordinaire Easter Collection, which also includes Clementine Ginger Toffee and four different flavors of filled mini chocolate rabbits. What makes these cute little two-serving Easter egg mini cakes no-bake? The secret is frozen pound cake that's cut with an egg-shaped cookie cutter. The peanut butter version is filled with a silky peanut butter buttercream, and the chocolate version is filled with a decadent chocolate-hazelnut buttercream. The filled mini cakes are glazed with a simple ganache made from candy melts and whipping cream. I used pastel-flecked white glaze for the peanut butter cakes, as well as milk chocolate and sprinkles for the chocolate-hazelnut cakes. These little cakes are a blast to make and decorate. I don’t know about you, but I’d much rather hunt for these tasty Easter eggs this weekend! 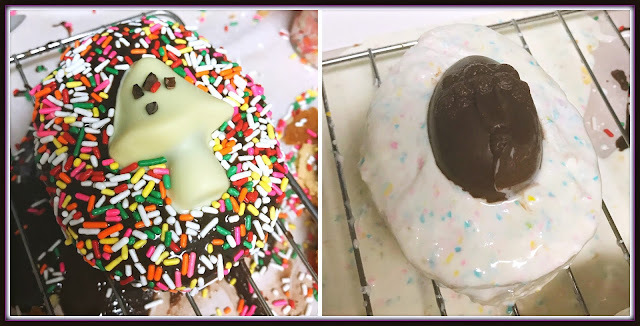 Wait until you see how fun these easy treats are to create. 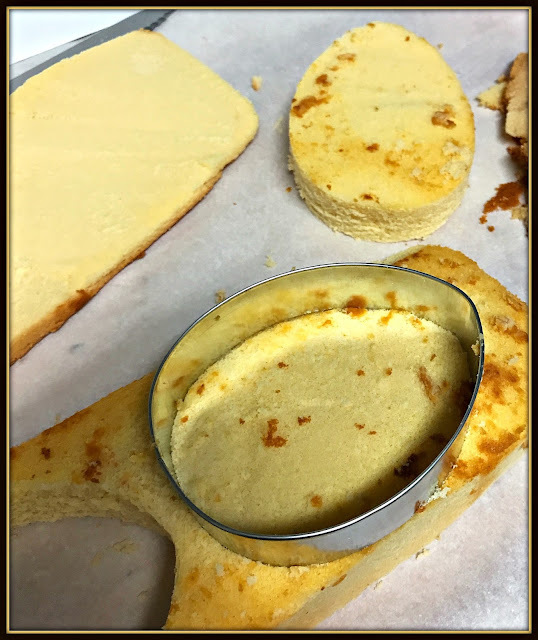 Step 1: Using a serrated knife, remove the crust from the outside of the pound cake. Cut the pound cake in half horizontally, making two layers. Use a 3-inch egg-shaped cookie cutter to cut three pieces of cake from each pound cake layer – you will have six pieces total. Freeze the scraps that remain in a plastic zip-top bag for another use. Step 2: Make the buttercream by combining the butter, powdered sugar, and vanilla in a small bowl. 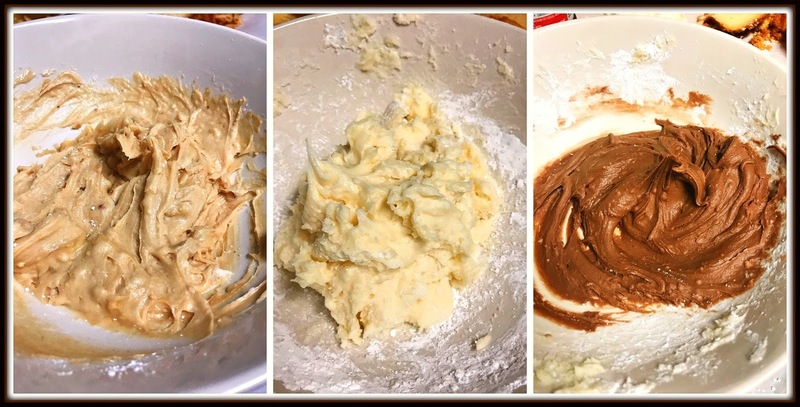 Divide the buttercream into two equal portions. Add the peanut butter to one half of the buttercream and stir to combine. Then, add the chocolate-hazelnut spread to the remaining half of the buttercream and combine. Spread the peanut butter buttercream on two of the pound cake pieces, and spread the chocolate-hazelnut spread on one of the pound cake pieces. Top with the three remaining pound cake pieces to make two-layer egg-shaped cakes. NOTE: You'll have buttercream left, which will keep in the fridge for a week or so. Step 3: Place the three mini cakes on a wire rack over parchment paper. Heat the chocolate candy melts and whipping cream in the microwave for 1-2 minutes, until the candy melts have softened. Stir until the mixture combines into a pourable ganache. Pour the chocolate ganache over the chocolate-hazelnut mini cake. Top with the Vosges Enchangted Toadstool. Add sprinkles to the top of the mini cake, around the toadstool. Step 4: Heat the white candy melts and whipping cream in the microwave for 1-2 minutes, until the candy melts have softened. Stir until the mixture combines into a pourable ganache. Pour the white ganache over the two peanut butter mini cakes. Top each with a Vosges Organic Peanut Butter Bonbon. Let the cakes cool until the ganache hardens – approximately 1 hour. Serve the Easter mini cakes on a festive Easter plate…or in a pile of green Easter grass. These fun little cakes are totally adorable – and they taste great! They slice easily, and the buttercream fillings work pair perfectly with the Vosges chocolate décor. I love that the décor options are totally up to you – for the peanut butter cakes, feel free to sub in your favorite color of white chocolate candy melts. For the chocolate hazelnut cakes, have fun picking out some fun and colorful sprinkles. These cakes would make a perfect addition to your Easter menu this Sunday. 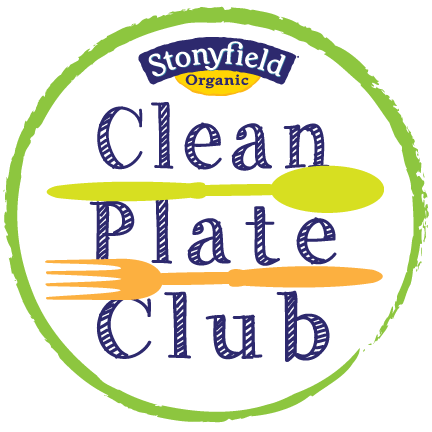 If you need more than six servings, simply double the ingredients to feed a larger crowd. 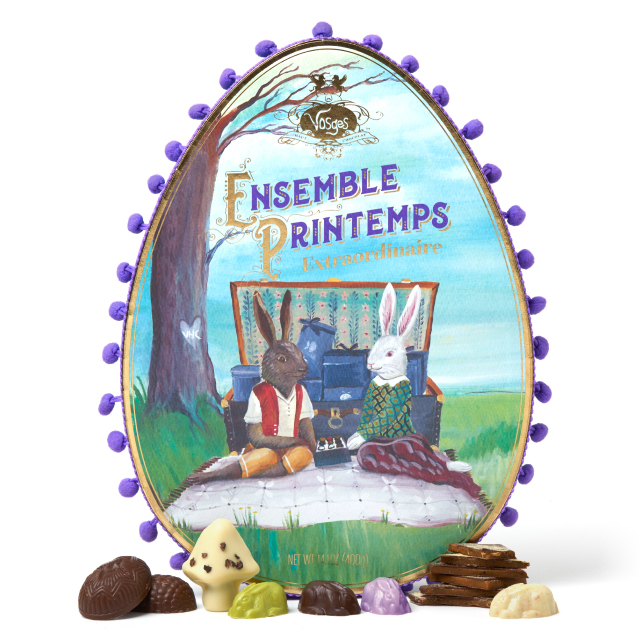 Vosges deluxe Ensemble Printemps Extraordinaire Easter Collection retails for $74.25. To purchase this flavorful collection -- or anything from the Vosges 2017 Easter line -- visit the Vosges online Easter store. 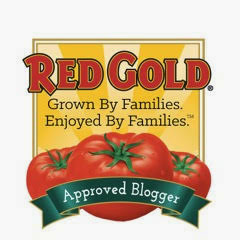 They'll ship your selections direct to your front door! Disclosure: Vosges provided me with a complimentary Ensemble Printemps Extraordinaire Easter Collection to facilitate this post. 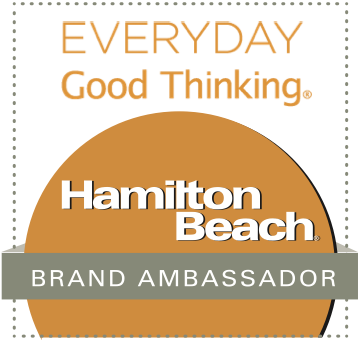 All opinions are solely my own!